This morning we are Seeking Joy in Beauty & Brokenness as Julie leads us in our Advent Service. We will also celebrate the Lords Supper and all are invited to share in the bread and wine. For our film and chat, at 4pm, we will continue our reflections on the armistice anniversary by watching and discussing a film which dramatizes the events of the Christmas Day truce 1914. Certificate 12 – In English with some subtitles. Fairtrade tea and coffee will be served following the morning service, and homemade Christmas cards will be on sale. Sunday 23rd ‘Finding Love in a Manger’ at 10.45 will be led by Phil and the Junior Church, and at 2.45pm we will meet at Showcase Cinema, see This Week…..
All who will be alone at Christmas. Thanks. Hettie says “ I thank everyone who has phoned, visited or sent cards. You have kept me going! I am determined to be back with you in the New Year as I miss everyone! Double congratulations to Julie. Firstly, this week she received confirmation that she has been awarded a Diploma of Higher Education in Theology, Ministry and Mission with the Cambridge Theological Federation. She also received a positive interim placement report when meeting with Phil and Revd Dr Robert Pope from Westminster College, Cambridge. WELL DONE Julie! Robert also expressed the college’s thanks for the welcome, support and care which Julie has received in her placement with St David’s Uniting Church. So yey for Julie…and yey for us!!! 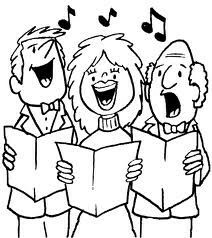 This week you’ve two opportunities to spread some Christmas joy through singing – on Monday 17th December, we’ll be meeting at Sainsburys at 6pm and on Friday 21st at Pontypridd Care Home at 3pm, both expected to last about an hour. Come add your voice – or just a smile – as we share the wonder of Christmas…and feel free to wear a festive jumper too! If you want to indulge in a little extra Christmas magic, join us on 23rd December for a trip to Showcase, Nantgarw to watch ‘Mary Poppins Returns’. Cert U. Meet in the foyer by 2:45pm. If you want to attend the Anniversary Lunch on 20th January at 1.30pm at the Rhondda Suite, Heritage Park Hotel. The cost is £10.95 for Carvery and Dessert. Please sign the list soon as we have to give number by 2nd January. Thanks to all who have saved in the Leprosy Mission ‘boxes’ this year. The total saved is £500.10: If you haven’t given your box to Pat, please bring it in soon! Our Christmas Appeal forThe Rowan Tree Cancer Charity and Save the Children Yemen Crisis Appeal will remain ‘open’ until January 6th. Special envelopes are available: if you wish to ‘gift aid’ please write your name or number on the envelope. Please remember to check the Card Sorter for your cards. If you can deliver cards to anyone who is unable to worship with us it would be much appreciated!! A reminder! Please collect your Offertory Envelopes for 2019 TODAY. If you don’t have envelopes for your offering and would like them, please speak to Anne Coles. Don’t forget to save the postage stamps from your Christmas cards, Amnesty International recycled them to raise funds. Sure Start are trying to help homeless people in Pontypridd. Details of items requested are on the notice board– the need is urgent! Monetary donations are also welcome. We welcome families, friends, foreigners and all as we celebrate the birth of Jesus with presents and praise. Christ was born in the first century, yet he belongs to all centuries. He was born a Jew, yet He belongs to all races. There will be NO news sheet next week!